Fort Worth is historically a military city, but is now a buzzing metropolis with commerce, culture, and tourism. 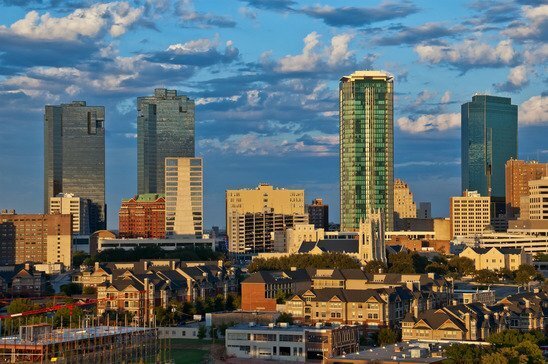 With a population over 792,000, it’s the 2nd biggest city in the Dallas-Fort Worth-metroplex area (DFW). It’s a great place to work, live and visit. Adam Traywick, CPA, can help you save money on your taxes, so you can enjoy all this city has to offer. Fort Worth has a thriving economy, not only from the nearby oil fields, but it’s also home to several high tech firms and major defense contractors. North of the city is the historical Stockyard Station, featuring weekly rodeos, cattle drives, and other features of the wild west era of Texas that draws in tourists from around the world. Downtown Ft. Worth features several museums, artistic, and cultural centers. At night, the numerous restaurants and clubs are buzzing with patrons and live music. Nearby are the Botanical Gardens and Fort Worth Zoo, considered to be one of the top zoos in the country. Fort Worth has become a major hub of business activity and features top employers such as Lockheed Martin and Bell Helicopter. It’s also home to American Airlines. With these great employers providing an economic backbone for the city, and a well-planned, pedestrian-friendly downtown with plenty of cultural activities, it’s no surprise that small businesses choose to locate here. Whether you run a storefront, restaurant downtown, or a small office on the outskirts of the city, the paperwork involved can be a confusing mess that hampers many great businesses. It’s not just a matter of balancing the books. There are numerous laws and practices that need to be followed in today’s business climate. You could even be missing out on tax incentives that could save you a significant amount of money. In addition to helping with your taxes, an accountant can help inform your budgeting and finance decisions. You can learn where you might be losing money, how much you can afford to invest, and whether it’s a good time to seek financing for expansion. Navigating all this information can be overwhelming, which is why you want to hire a certified public accountant. Many business owners in Ft. Worth trust Adam Traywick to handle their accounting and taxes. 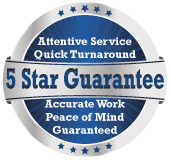 He has the expertise and can provide the personal attention you need to help your business succeed. Adam Traywick offers small business accounting and tax services to residents throughout Fort Worth. Call 817-381-5520 today to schedule a consultation or contact us online.